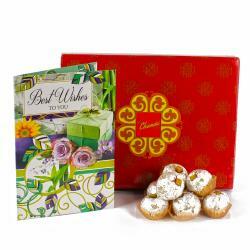 Product Consists : Kaju bon bon (Weight: 1 kg) the Mouth-Watering Sweet along with Anniversary Greeting Card. 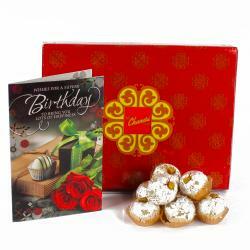 With all the goodness of delightful Sweets and one greeting card is the star of this short, simple, and gentle Diwali hamper. 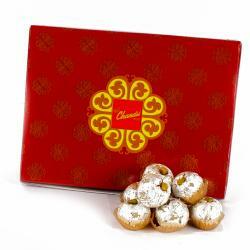 These delicious delicacies in beautiful shapes are just perfect to convey all your good Wishes Get this one for your friends and relatives who are away from you and give them a moment filled with great taste. 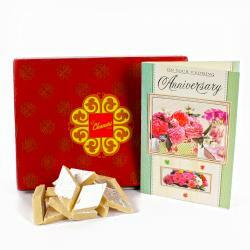 The Anniversary Greening Card will make lifetime and good memorable for you. 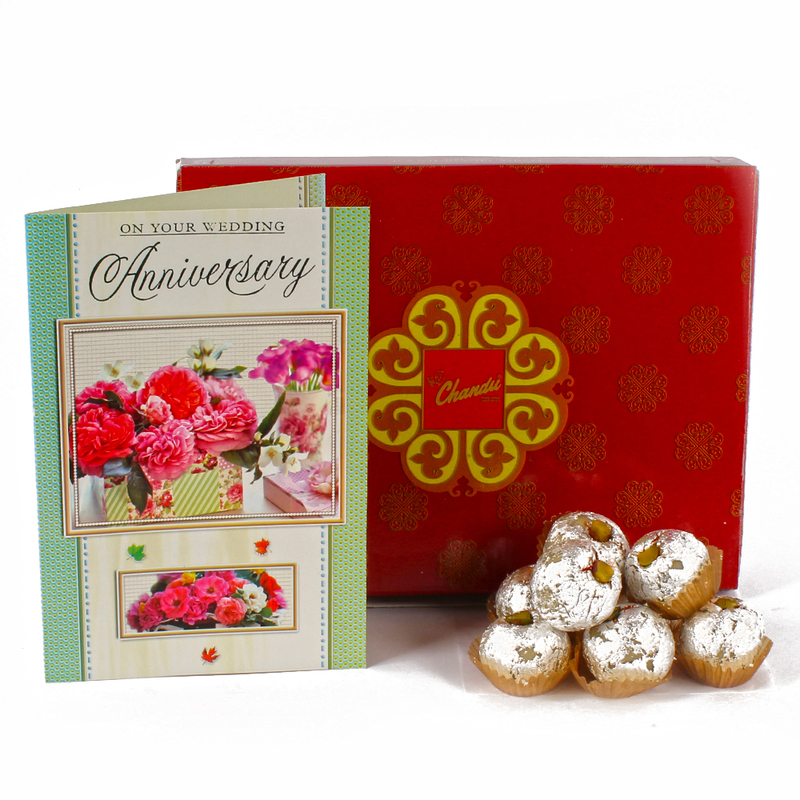 Product Consists : Box of Chandu Halwai Kaju Bon Bon Sweets (Weight : 1 kg) the Mouth-Watering Sweet along with Anniversary Greeting Card.